If living by the water will help your mental mind and improve your life, this home should be on your short list to be considered. This home is centrally located with easy access to shops and to the main roads. Its in a highly sought-after area of Steele Creek, yet, tucked away in its own super quite neighborhood of water sports, clubhouse, tennis, and swimming. Home comes complete with washer and dryer, refrigerator, and window dressings.Front of home has views of a grass field and looking out the back windows has views of a pond with a water feature. Lake Wylie waterfront is just a few steps away with community docks available for residents to lease. 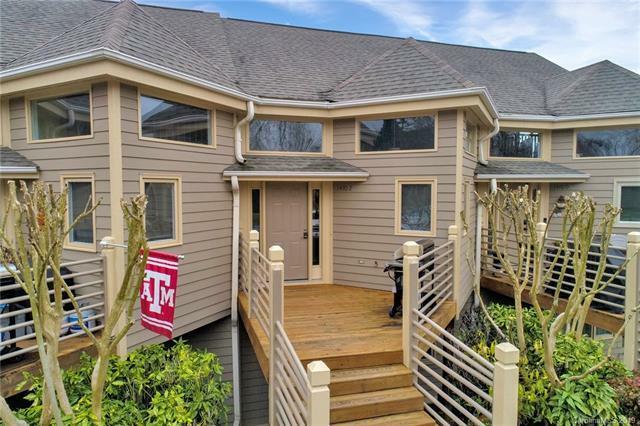 Come enjoy the low-maintenance lifestyle at the townhouses of The Yachtsman subdivision.